The outstanding performances of two Welsh Renault dealers have been recognised in the company’s annual European celebration of excellence. The UK’s highest performing dealers were awarded commendations and attended the Paris event with Groupe Renault’s UK Managing Director, Vincent Tourette, and Louise O’Sullivan, UK Network Development Director. They visited the Technocentre, Renault’s global R&D centre, followed by a grand awards ceremony at the Stade de France. 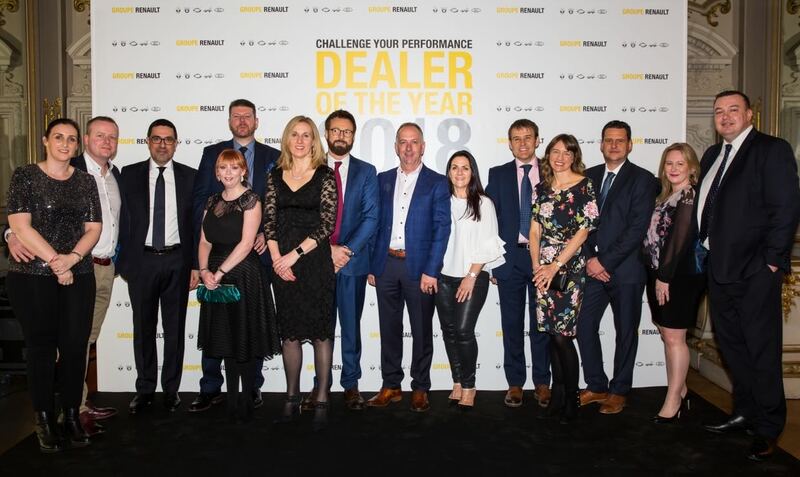 The winning dealers from the UK included Lee Phillips, Dealer Principal, Renault Cardiff (Best Large Dealer) and Jonathan Gravell, Group Head and Dealer Principal, Gravells of Kidwelly (Best Medium Dealer) and the oldest Renault dealer in the UK. Best of the rest: In the group are 4th from the left Lee Phillips, Dealer Principal of Renault Cardiff with partner Carrie Phillips and 5th from the right is Jonathan Gravell, Dealer Principal for Gravells in Kidwelly, with partner Charlotte Gravell.